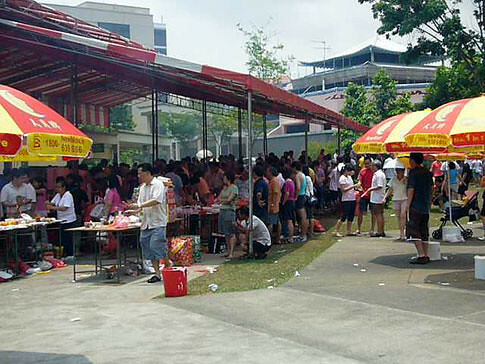 These two workers were having their lunch at a shed in Pek San Teng during the Qing Ming Festival. 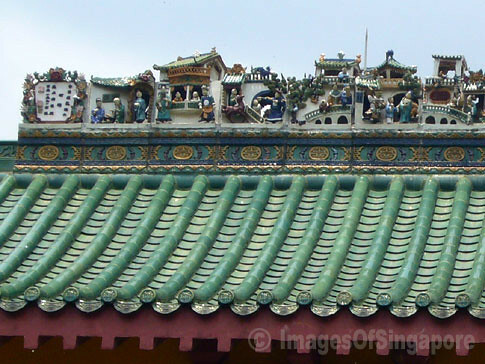 Interesting rooftop miniatures carving can be seen on some buildings at Pek San Teng. 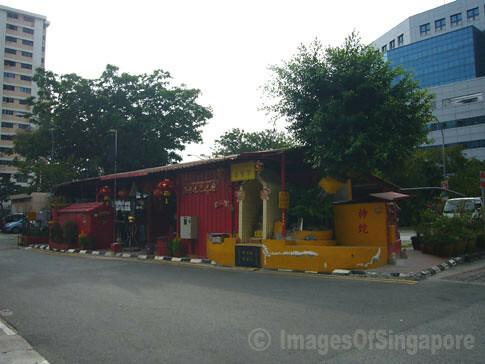 This temple is built in the middle of a carpark at the North Bridge Road Market and Hawker Centre. 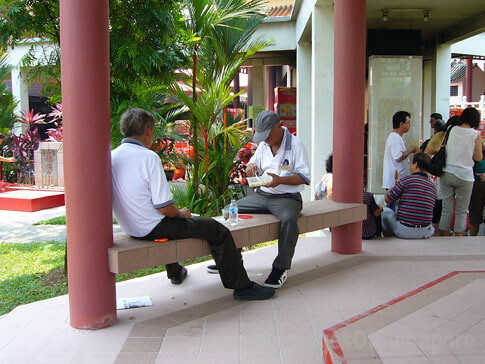 It was built in 1974 and redecorated in 1985. It has a cage for the snake. 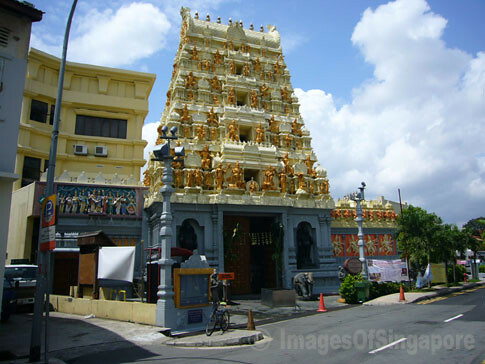 This Sri Senpaga Vinayagar Temple is located at Ceylon Road, Katong. 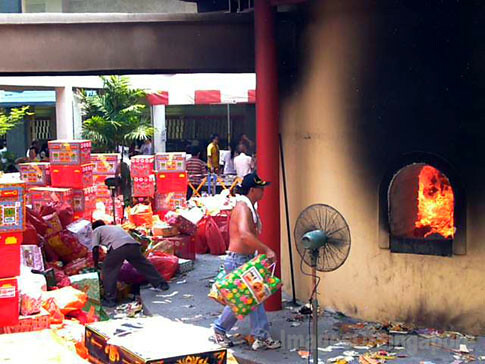 Its history dates back to the 1800s. 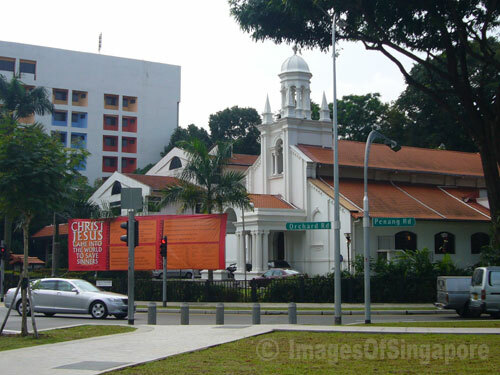 This is the Orchard Road Presby Church.